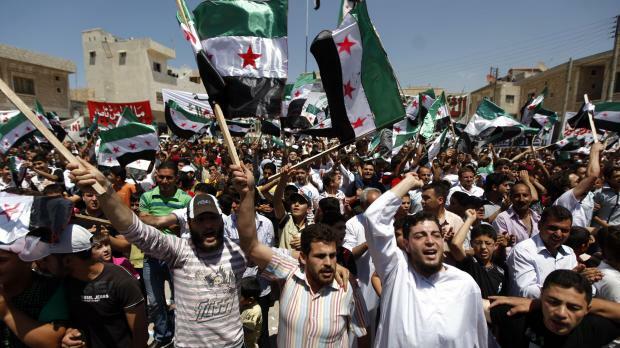 Syrians attend an anti-Bashar Assad protest after Friday prayers on the outskirts of Idlib, Syria. The ongoing violence in Syria was this evening condemned by Foreign Minister Tonio Borg. "I condemn in the strongest possible terms the ongoing violence in Syria. The massacre of innocent civilians in the villages of Qubair and Maarzaf in Hama is a shocking testament to the unwillingness being exhibited by the Syrian government of al-Assad to halt the cycle of violence in Syria. "Malta also condemns the shooting on UN monitors investigating the massacre, and urges the Syrian government to allow unimpeded access to establish responsibility for the violence. "It has become crucial for the international community to speak with one voice and to press for the full implementation of special envoy Kofi Annan’s six point plan in order to end the bloodshed. In the absence of its implementation, we must explore, without any further delay, new avenues that are effective in bringing this massacre to an end."